Wine and Opera: Traveling Down Parallel Roads? The opening text incensed me. It was The New York Times review of The Metropolitan Opera’s Elektra by Anthony Tommasini. 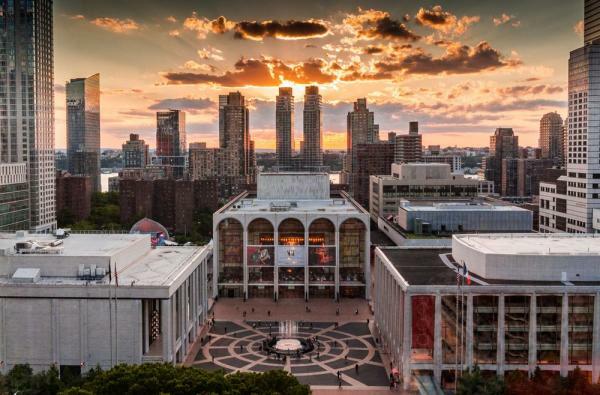 “The Metropolitan Opera is struggling right now, facing longstanding challenges like declining tickets sales and a shriveling donor base, as well as looming ones like coming labor negotiations. 1. I had experienced Elektra the night before. The performance was far from splendid. I wasn’t alone in the season subscriber, center section of the Dress Circle to think this. Several emphatically delivered “boos” surrounded us at the end of the performance. 2. The second, smug sentence made no sense following the first for anyone but an elitist in denial. New York City’s Met Opera isn’t the Kevin Costner fantasy movie, Field of Dreams. But what really made me squirm was that the tone of the reviewer’s sentiment reminded me eerily of some of the pompousness one can encounter in wine. I began thinking about wine and opera, and some obvious similarities started me worrying about the two subjects running on parallel courses. While things are generally looking up in the wine world, the status of opera, even New York City’s Metropolitan Opera, seems dire. Was I missing warning signals about wine? We have all encountered superior and dismissive attitudes in wine that usually get toppled in time, just like statues of dictators. They could be that only Burgundy can have terroir for Pinot Noir (once spouted to me by a Burgundian friend), that Cabernet Sauvignon has no place in Tuscany (run that by Piero Antinori) or that screw caps aren’t for serious wines (all of Austria and New Zealand will take issue with that). When I opened (yep, a physical version) The New York Times Arts section this Saturday, I read a fascinating piece titled, “Thriving in the Terrain Between Classical and Pop”. It discussed the versatility of a 30-year-old performer, Nora Fischer, whose “close-to-speech singing” has been highly controversial in traditional circles. Her conductor father felt that classical singing was the only “healthy” way to sing and frequently asked if she was practicing her (proper) form. However, after having seen several of her performances, he is proud of his daughter. Though much to the chagrin of traditionalists, wine has been managing for a while to shake up the expected. Witness wine and wine spritzers in cans, wine on tap, wine in single serve cups and – at least in the USA – the loss of the tastevin suspended from sommeliers necks. This only mentions how wine is served. There’s even more excitement in regions, varieties and styles. Who in the wine business hasn’t complained about what critics write, despite the fact that consumers mostly use scores? Despite knowing how important the explanations of notes are, after reading the above it is tempting to suggest that opera might consider wine’s numerical simplification. The wine industry is far, far past this stage, and I was surprised to discover that opera is so reliant on traditional media. Just how far behind is opera in the electronic world? Why is there an assumption that social media is exclusively for the private sphere? In fact, social media seems to be one way that some operas are trying to recruit younger patrons. Kind of. The Boston Lyric Opera’s creation of a “Tweeting Section” has drawn mixed feelings from those within and outside the soft glow of a corner of the opera house designated for “live” tweeting. The Wall Street Journal reported in a print article titled “Così fan Tweetie: Opera Tries Relaxing to Lure Millennials“ that while tweeters generally were happy to be able to tweet on-the-spot, the General and Artistic Director, Esther Nelson, lamented, “What you can’t control is what the hell they’re talking about.” Hmm. The online title was altered to “Opera Drops Its Scruples, Allows Millennials to Tweet During the Show”. Ouch. So, it wasn’t long before I started feeling better, despite the fact that the same Wall Street Journal article mentioned that tweeters at a final dress rehearsal of “Carmen” at the San Francisco Opera in May 2016 celebrated online when their hashtag #CarmenSF was trending on Twitter above #NationalWineDay. Hey, wine can’t win them all. The relief comes from knowing that the wine world has largely passed through many of these stages of growing pains. Evolution is necessary. Consider the printing press itself. Moreover, the wine community is extremely connected via social media channels, downright embracing them. Talking about anything online amongst passionate people is likely to raise the subject matter’s profile. I believe that is a good thing. The National Opera Center of America published a July 2017 piece titled, “What Do Millennials Want? Findings from The Wallace Foundation”. One section ticks off what competes with opera. Seven types of performing arts are listed, including comedy/improv, and nine other activities are listed right beside those. Many of those nine one can do from home, things like reading, cooking and working out. Wine does not compete with as many options. Members of the trade have been biting fingernails over craft beer for several years; now some are on pins and needles with legalized marijuana. But not only does wine face fewer competitors, it pairs well with most of the leisure activities listed in competition with opera. Going to the opera is no doubt a grand experience, whether going to one of the world’s great opera houses or attending an open-air concert at the height of summer. The excitement of a large gathering of people to watch a select few “instruments” (voices, that is) perform as few others on the planet can is electrifying. Sure, opera is accessible to almost everyone today – whether via Spotify or good ole vinyl. But what everyone wants access to today is the full package experience, and that is much harder to do with opera than it is with wine. The seats are certainly available (it was almost distressing to see how many empty seats there were at the Met over the course of our eight-performance ticket season). The problem is the high price. Wine can be the focal point of an experience in a wine tasting or a trip to wine country, just as it simply can be a part of many experiences. Wine in a very wide range of prices can accompany brunch, a book on the beach or a bubble bath. While opera can arguably accompany those last three activities, no opera – or even classical music – figures in TIME magazine’s piece “Spotify’s Most Streamed Music of 2017”. In fact, hip-hop is the most-streamed music style on Spotify, beating out years of rock and pop. Clearly this is a youth-heavy music source, but it’s not just the young’uns paying attention to this genre. Rapper Kendrick Lamar won a Pulitzer Prize for his “virtuosic song collection” in his album “DAMN” this April. It was the first Pulitzer for music that did not go to a classical or jazz music artist. •	Kids are introduced to opera/ballet/theater by their parents or at school. •	Arts companies offer school tours and special performances for children then offer deeply discounted tickets until around the age of 26. •	Soon thereafter, the fans disappear. Tickets are now expensive and the fans are spending elsewhere, acquiring assets and starting families. •	If the arts venues and companies have done their jobs well early on, the fans return in their mid-forties and remain loyal. You may have to be 18 (or 21 in the USA) years of age to legally drink wine, but except for unusual health circumstances and pregnancy, consumers don’t end up forfeiting wine drinking for two decades. And so the Met is suffering. Kirk and I wanted to renew our Friday night opera subscription, but we wanted to subscribe for fewer performances. We also enjoy Broadway shows, other music concerts, and I miss seeing the ballet. The Met would only allow a shorter subscription for mid-week performances; they suggested splitting the subscription with friends to keep our Friday night seats. Alas, we couldn’t find any willing couples. So, we will look for rush tickets next season, at only $25 per ticket. We’ll miss our amazing Dress Circle seats, even when we land great orchestra seats. And again, we saw plenty of orchestra seats available, week after week. We will also look forward to spending the extra cash on a better bottle of wine at dinner. All the while, I will be feeling much better knowing that wine does not run parallel to the enjoyment of opera but rather slices through many more facets of life in a way that is much easier to share.